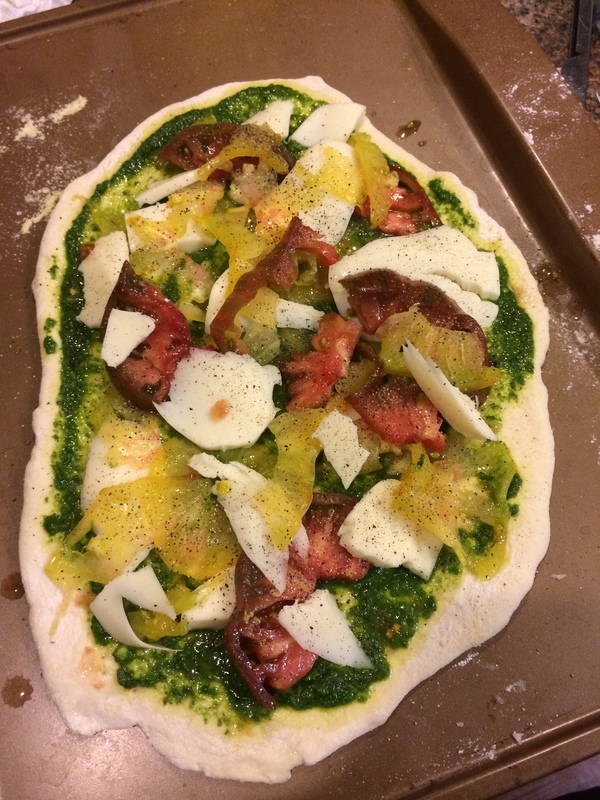 I can’t wait to try a few others… I have already made another one with this gorgeous heirloom tomato and fresh mozz pizza the other night… whoa! 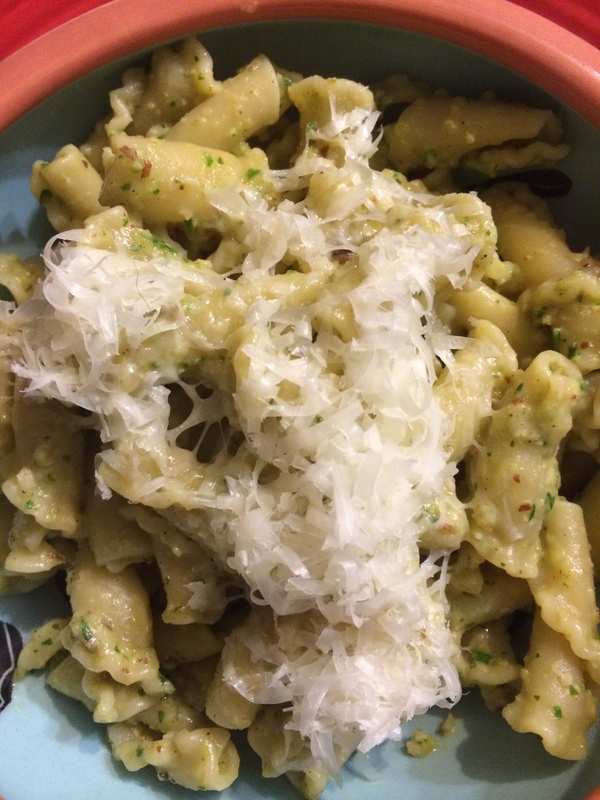 Okay but really I have to share this crazy pesto recipe with you. 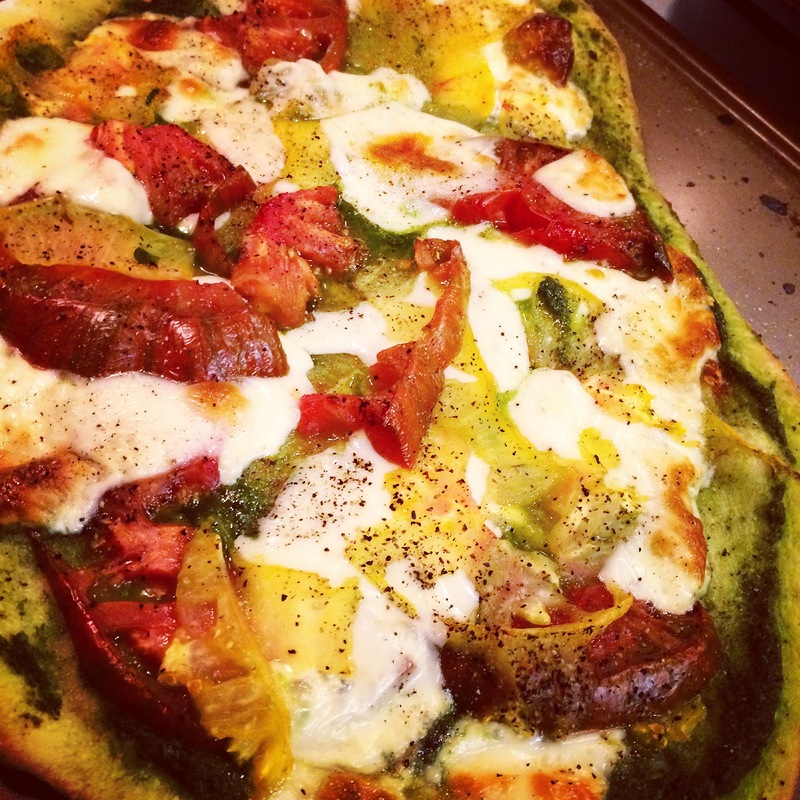 It was so easy to make and it was creamy, delicious, and just all around awesome. Enjoy! Cook pasta according to the directions on the box. Drain pasta, reserving 1/4 cup of the cooking liquid. Put the olives, almonds, parsley, pepper, and garlic in a food processor. Pulse until coarsely chopped. With the processor on, add 2 tablespoons of water and 1 teaspoon of vinegar through the chute, processing until the mixture is finely chopped. Combine pasta, 1/4 cup olives, sliced almonds, flat-leaf parsley leaves, black pepper, and garlic in a food processor; pulse 3 times or until coarsely chopped. With processor on, add 2 tablespoons water and 1 teaspoon vinegar through the food chute, processing until mixture is finely chopped. Combine pasta, the reserved liquid, and the olive mixture in a large bowl and toss well. Sprinkle with extra cheese and serve immediately. This pesto looks so divine. Never thought of making one that doesn’t have pine nuts in it. Definitely bookmarking!! Yum. 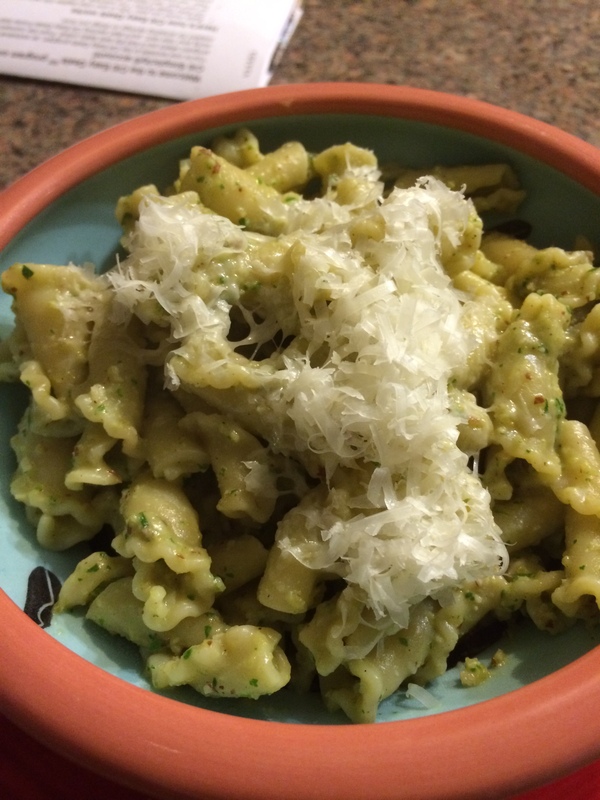 Pesto is the best. You just inspired my dinner recipe. LOL. Thanks Brian. Let me know what you decide to make! Wellllll it took an unexpected turn when we decided to go out instead, but I DID buy all of the ingredients for pesto, so it’s on the menu for next week! Can’t wait to try this. Sounds yummy.